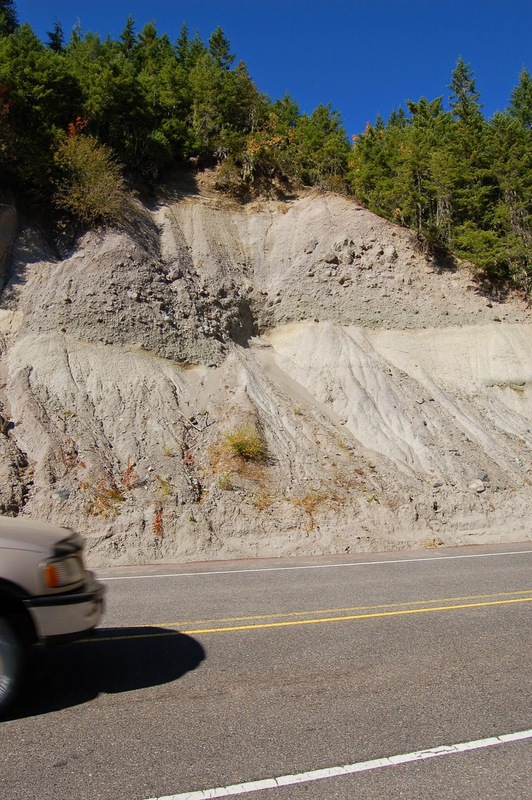 On the approach to Tombstone Pass, on Route 20 east of Corvallis, in the Western Cascades, there are a number of appealing roadcuts, some of which have convenient pullouts. Despite having sailed merrily past them many times, I had never had time or opportunity to stop and look more carefully at them prior to a trip to the area with Dana on October 9, 2012. Though this was not the droid outcrop I was looking for, it did have some interesting features, and the one I was looking for was just around the corner. And when I say "just," I walked to it in about the same time it took for Dana to move the car there. We didn't cross the road here, so I didn't realize until we went around the corner how puzzled I would be by the lower unit. And in passing, it looks as if there might be a third, finer-grained, and better-bedded third unit, cut into the second, as a "V" near the center of the photo. 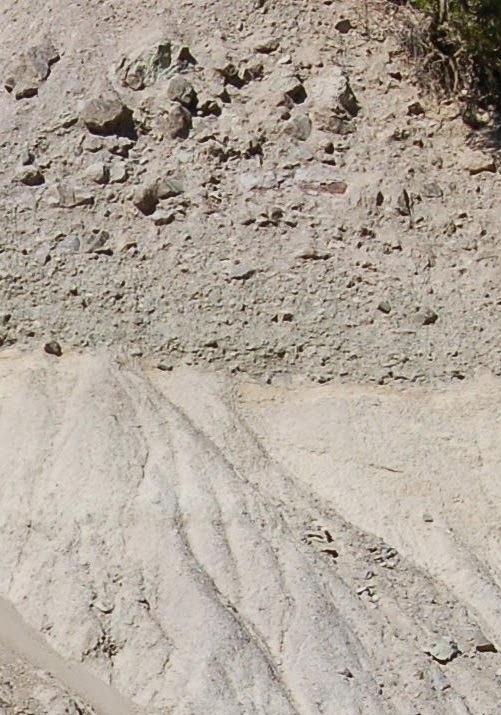 Note the gap in the larger clasts in that area. Photo unmodified. October 9, 2012. FlashEarth Location. Geo 1095: March 20, Day 809: Contact(s)!